This is the Grandparent’s Day Card we made this year. 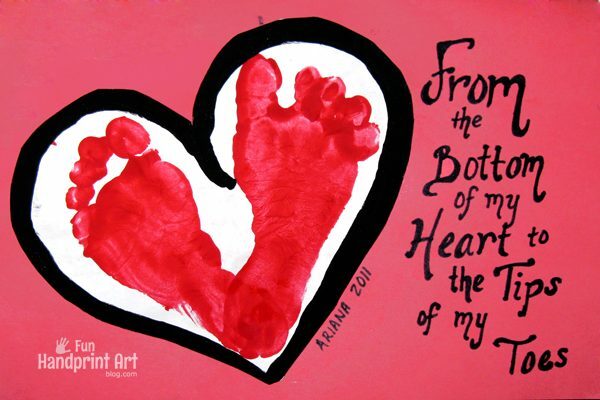 I pressed my baby’s feet onto white paper to make a Footprint Heart. Then, I drew a black outline around the heart. When it finished drying, I cut it out and glued it to a folded piece of red construction paper. 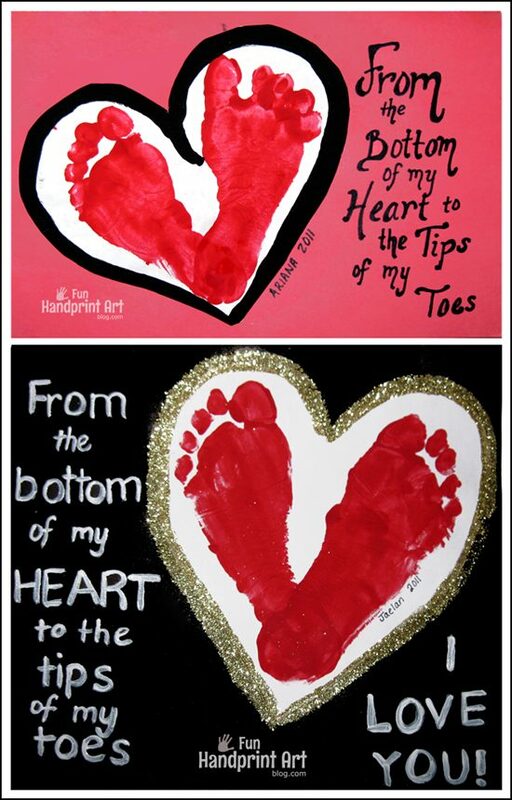 Next to the heart I wrote, “From the Bottom of my Heart to the Tips of my Toes.” Inside the card, I lightly wrote ” I Love U! Happy Grandparent’s Day!” My 3 year old traced over the letters so he could practice his handwriting skills. My son also colored a picture turned into a coloring page of him with his grandparents and baby sister. Check out this version of this same concept made with handprints instead! Love this idea – simple and very personal and effective. The message is also great.